Earn $30.57 in Rewards credit (3057 points) What's This? 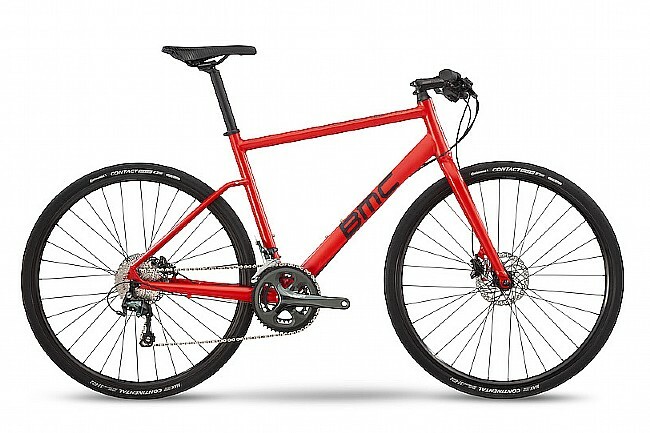 BMC's 2019 Alpenchallenge AC02 TWO Bike is stylish, speedy, and functional, featuring a light Al-13 butted hydroformed aluminum frame and fork, hidden quick-mount fender eyelets, internal cable routing, and post-mount disc-brakes. Frame: Alpenchallenge 02, Al-13 Hydroformed Aluminum. Fork: Al-13 Butted, Hydroformed Aluminum, steerer tube 1-1/8”. Brakeset: Shimano M396 / RT30 rotors (160/160). Saddle: Selle Royal 2080 URN. Seatpost: BMC LSP 03, 31.6mm. Wheelset: Shimano M-3050 Alex X2200. Rims: Shimano M-3050 Alex X2200. Axles: Standard QR 100mm, Standard QR 135mm. Tires: Continental Sport Contact II, 35mm. Manufacturer Warranty: 3-5 years on frame, 2 year on paint, 2 year on components.